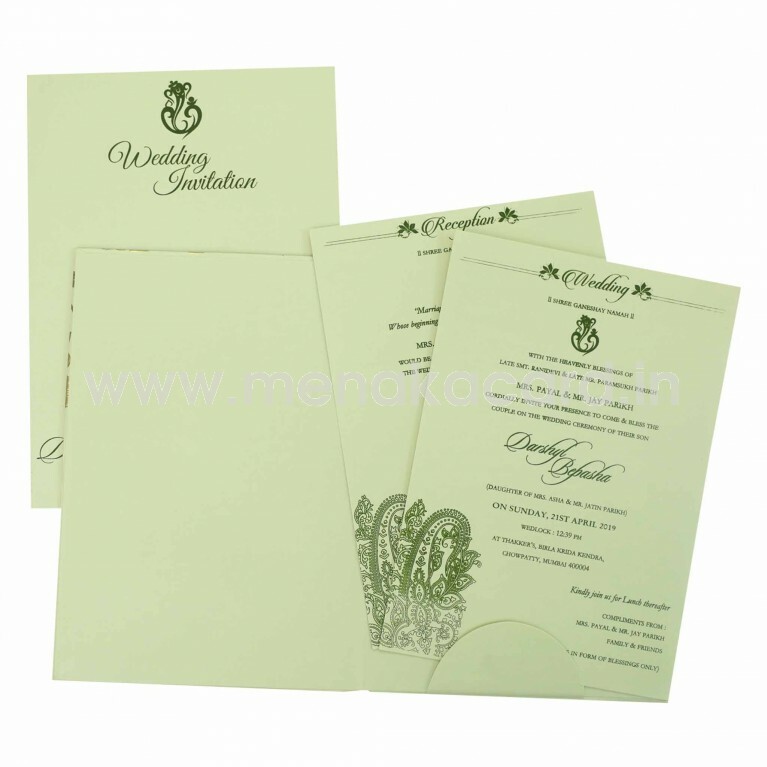 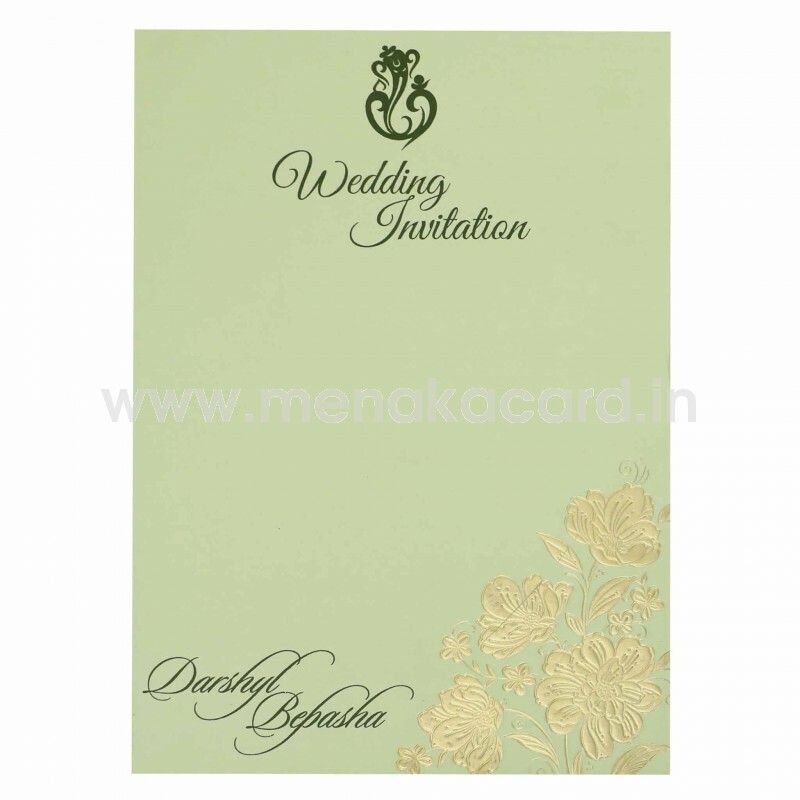 This graceful pastel green padded card is made from a matte finish artboard decorated with boho-inspired floral prints in gold ink embossed into the top of the card. 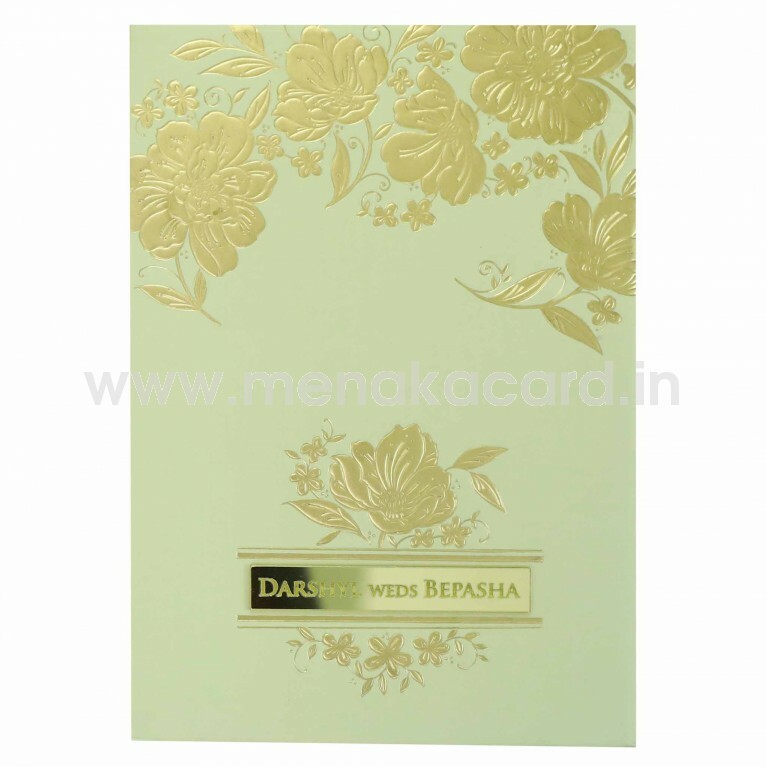 The names of the bride and groom sit in a luxurious gold mirror sticker framed by a gold embossed flower pattern. The inserts of this card sit in the solid flap made from the same material as the rest of the card printed with deep brown ink. 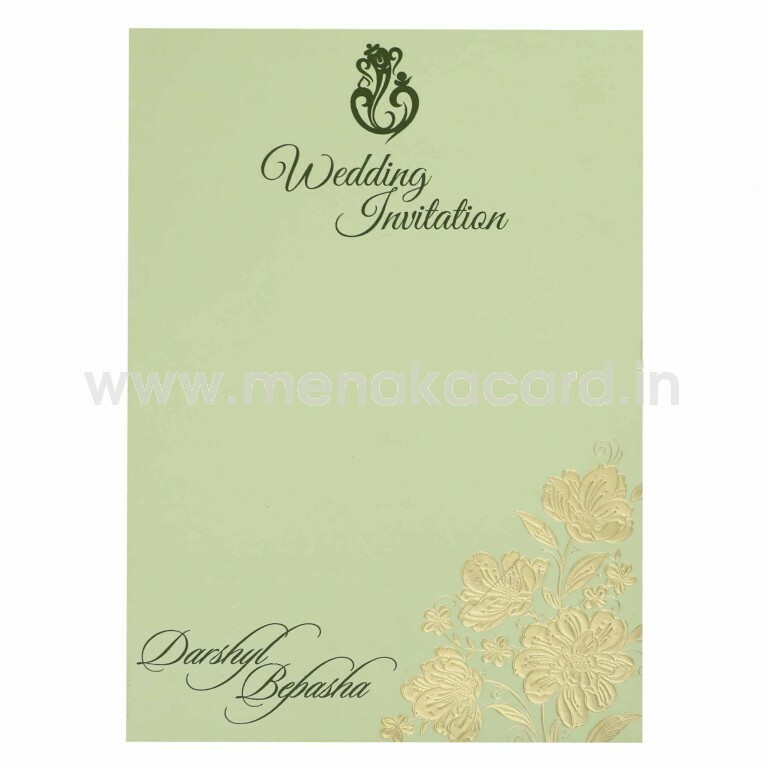 The envelope matches the card in colour and design and has a beautiful floral print embossed into the left corner. 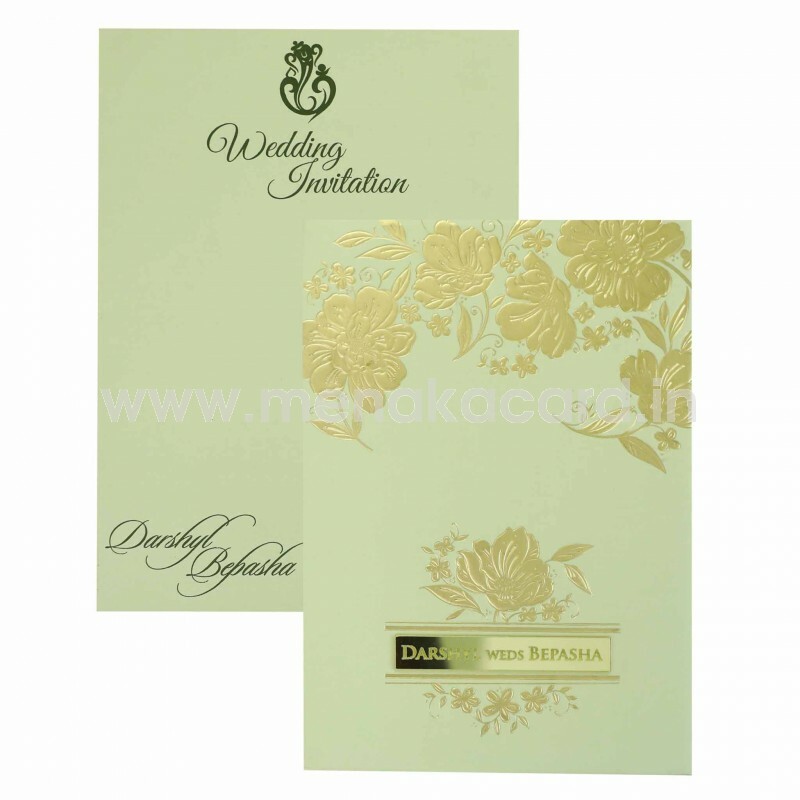 This can be used for Christian, Muslim, Hindu and Multi-faith weddings.